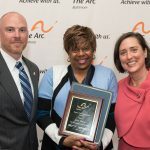 The Arc Baltimore works in collaboration with multiple partners and a coalition to achieve maximum impact on public policies affecting people with intellectual and developmental disabilities (I/DD) and their families. Stay abreast of policy updates and alerts. 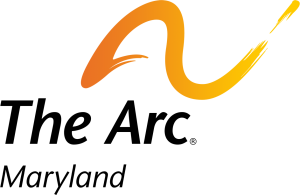 Subscribe to the Advocacy Network e-news. The Arc Maryland works to create a world where children and adults with intellectual and developmental disabilities (I/DD) have and enjoy equal rights and opportunities. The Arc Baltimore works in concert with all the local chapters alongside The Arc Maryland to support our shared concerns and public policy agenda. The Maryland Developmental Disabilities Council believes that all people with I/DD should receive the support they need to maximize independence, be productive, and lead the lives they choose in the community. Practices that segregate and isolate people with disabilities must end. The Helping Hands is a group of approximately 40 self-advocates supported by The Arc Baltimore who believe strongly in being included in all communities and having full citizenship rights. For more info, contact Deana Smiley at 410-282-3876 x 5909. 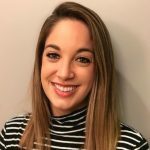 MACS (Maryland Association of Community Services) is a private nonprofit organization dedicated to strengthening agencies to better support people with I/DD and their families in their own communities. 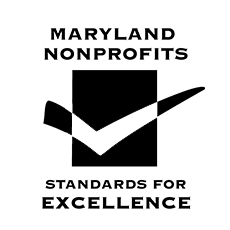 This is accomplished through advocacy that promotes the highest standards of program excellence; fosters a climate that develops and nurtures a quality workforce; and results in an increased capacity within MD communities to support people in inclusive settings. 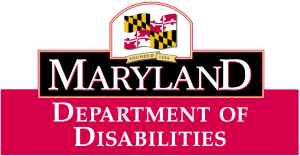 The Maryland Department of Disabilities strives to make the Governor’s vision into reality for every Marylander with a disability. When our citizens with disabilities fully participate in their communities, our entire state is stronger. To that end, the Department works to remove barriers for people with disabilities and create new opportunities in education, employment, housing and transportation. 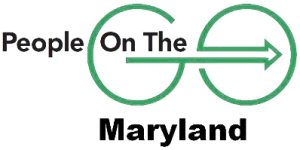 People on the Go of Maryland is a statewide self-advocacy group with the membership consisting of local self- advocacy groups from around the state. Self-advocacy groups help people stand up for what is important to them and bring people together to advocate for common issues. There is always power in numbers.